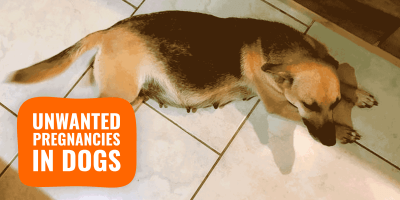 What Are Prebiotics for Dogs? Are Prebiotics Better Than Probiotics? Prebiotics for dogs are fibers found in some fruits and vegetables that help maintain a healthy gut flora in dogs. Dog prebiotics work best when taken with canine probiotics and digestive enzymes. 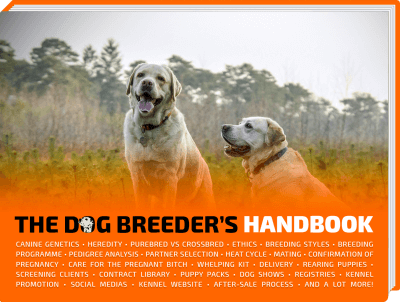 Dog owners and dog breeders are constantly trying to find ways to enhance their dog’s health, whether it being for improving the pet’s digestive system, its coat or its overall immune defense. Trends seem to follow those of human discoveries so it was only predictable that dogs, just like humans, would benefit from prebiotic supplements. To avoid myths and fantasies about prebiotics, as well as their cousins and similar-sounding probiotics, we wanted to have a lengthy article defining what are prebiotics, how do they differ from probiotics and digestive enzymes, and also review the top five best prebiotic supplements for dogs. Many dog owners are aware that probiotics have a long list of health benefits for dogs, but nonetheless, prebiotic supplements are still mostly underappreciated. Many of us are aware that probiotics can help the digestive system, so it is now time to explain what prebiotics are, as both supplements can be beneficial for a dog’s digestive tract and general well-being. They work great when used together, and even more when accompanied by digestive enzymes. These nondigestible food ingredients called prebiotics travel to the colon where they ferment and are converted into short chain fatty acids (SCFAs). SCFAs inhibit the growth of harmful bacteria, acting as a source of energy for colon cells and preserving electrolyte and fluid balance; this allows the intestine to move properly. When present in the bowels, prebiotics can promote and support healthier digestive flora. Prebiotics essentially feed the microflora in your dog’s gut and studies have shown it is best to use them in combination with probiotics to support the growth of good bacteria in your dog’s gut. Prebiotics, whether given through food or supplements, keep the good probiotic bacteria active and selectively stimulates the growth and activity of a number of bacteria in your dog’s colon. Prebiotic fibers will benefit your dog’s health in many different ways. In many ways, probiotics and prebiotics work best together to support your dog’s digestive system but prebiotics have their own specific benefits that can improve any dog’s overall health, similar to humans. As prebiotics help improve the immune system and support the growth of probiotics, which in turn helps keep bad bacteria under control in a dog’s gut. This support helps prevent disease, support digestion and improve nutrient absorption all while improving the immune system. Unlike probiotics, which studies have shown have little to no effect when included in dog food, prebiotics due to being a form of fiber (carbohydrate), are already included in dog foods and other food sources that are known to contain soluble fiber, such as legumes, whole grains, fruits, and vegetables. 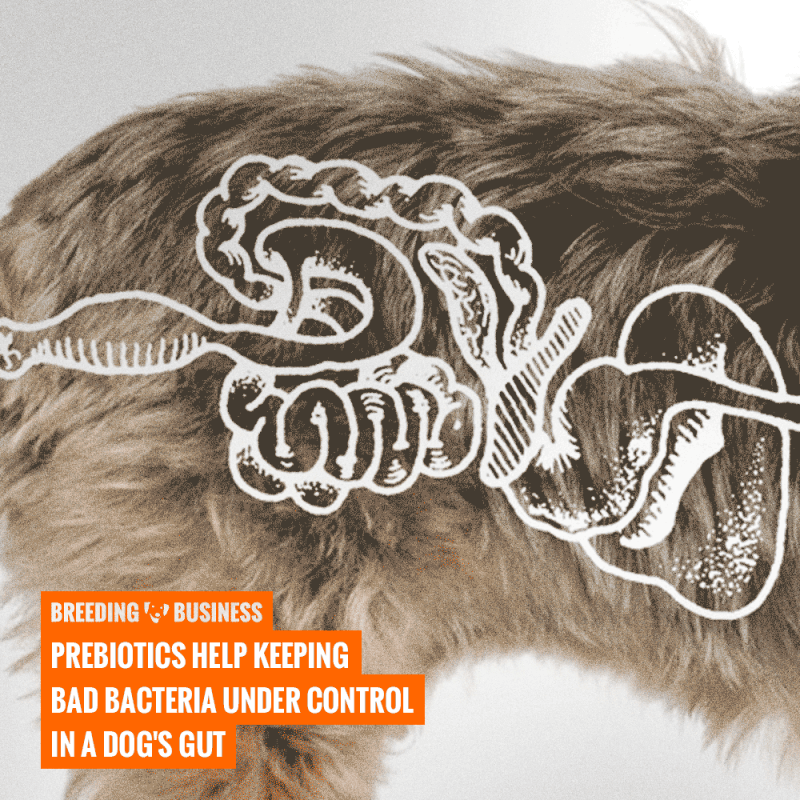 Dog prebiotics seem to decrease bad bacteria and enhance good bacteria in the dog’s gut. This makes it a lot easier to get the benefits from the supplement into any dog’s diet without having to trick them into taking a pill or powder on their food. Beet pulp is a common natural prebiotic, but take caution as this can upset a dog’s gut causing bloating, nausea and flatulence. Raw garlic is another natural and easy way to insert prebiotics into your dog’s diet but be aware it is toxic to dogs in large amounts. The good news is no matter how they are given prebiotics, dogs can have the exact same positive effect whether they’re given through pet food, homemade food or in the form of prebiotic supplements. Studies show that when a dog is fed prebiotics they are less likely to get diarrhea caused by the overgrowth of bad bacteria, and the soluble fiber also helps to prevent or treat diarrhea by absorbing water and slowing intestinal transit. When prebiotics are fed to females during pregnancy and lactation, they will provide enhanced immune protection to the puppies through the colostrum and milk, and in turn, the puppies will have an enhanced response to a vaccine which is an important benefit for breeders in particular. There is also some research being conducted that similar to human prebiotics found in breast milk can ward off a dangerous form of dermatitis. Puppies receive comparable prebiotics from their mothers when they nurse, so it’s possible that prebiotics in dog food help prevents skin and coat problems in adult dogs. The supplement has also been proven beneficial for dogs with immunosuppression or digestive disorders. And, for all dogs on a course of antibiotics, a prebiotic addition is definitely of extra value. Although there are many benefits of using prebiotics, there are some disadvantages that can occur when using the supplement. Prebiotics are not a magical solution for any digestive issue, there is some controversy about whether prebiotics may also potentially feed harmful intestinal bacteria as well as the good bacteria, which could contribute to digestive disorders. Due to this, it would always be advised, if you decide to give prebiotic foods a try, ease your dog into them gradually to see how he/she responds. In particular, prebiotics can be a bad idea for dogs with gastric intestinal issues. This may be confusing because probiotics have been shown in studies to improve this condition, yet in theory, it’s possible that prebiotics can aggravate certain digestive-related conditions. When a dog has various digestive problems, it is possible that some will be treated with the use of some prebiotics while others may be aggravated. Therefore, it is vital to monitor your dog whenever anything new is introduced. If your dog has a condition like IBD, IBS, leaky gut, small intestinal bacterial overgrowth (SIBO) and other issues, the good-to-bad bacteria ratio in their gut is not in a “positive” state, and the last thing you want to do is feed pathogenic bacteria with prebiotics since it would make the condition worse. There is some controversy about whether prebiotics can also potentially feed harmful intestinal bacteria as well as the good bacteria, which could contribute to digestive disorders such as diarrhea, flatulence and general inflammation of the gut. So, if you decide to give prebiotic foods a try, ease into feeding them gradually to see how your dog responds. Often, dog owners see a great response from prebiotics and tend to increase the dose, and this is when things start to go wrong. Consulting your vet or discussing it with him the next time you visit the clinic is a great way of making the right decision for your dog’s prebiotic supplementation. Prebiotics included in probiotic supplements are unlikely to cause any problems. But fiber supplements (prebiotics) should be used with caution. Too much soluble fiber can lead to gas and loose stools. Insoluble fiber (roughage), such as cellulose, speeds intestinal transit time (laxative effect) and reduces mineral absorption. Both types of fiber bulk up stools. If you do choose to give your dog solely a prebiotic it’s important that he drinks enough water when taking them, it is advised to add water to food if needed. It is important to take note of the dose that you are giving the dog as overdosing may cause digestive issues and discomfort. As with any new diet and supplement, start with small doses and monitor your dog to notice as early as possible if things are going wrong. Prebiotics are relatively safe so going wrong may simply mean a gassy dog, but you do want to fix any issues that may appear (as small as these issues might be). Prebiotics are non-living fibers while probiotics are living cells. As stated previously a prebiotic is a soluble, fermentable fiber, a type of nondigestible carbohydrate, that feeds the good bacteria in the gut and supports a healthy immune system. Although it is shown that prebiotics and probiotics work best paired together there are some distinct differences between the two supplements. Because of what they are (fiber) and how easy it is to include them in the diet, they have been included in regular dog food for years helping the good bacteria in your dog’s gut. Probiotics are not as commonly found mostly because it’s live bacteria, and it needs cold temperatures to survive. As discussed in our article about probiotics for dogs, probiotics are defined as living microbes that make up the gastrointestinal tract and support a healthy immune system. 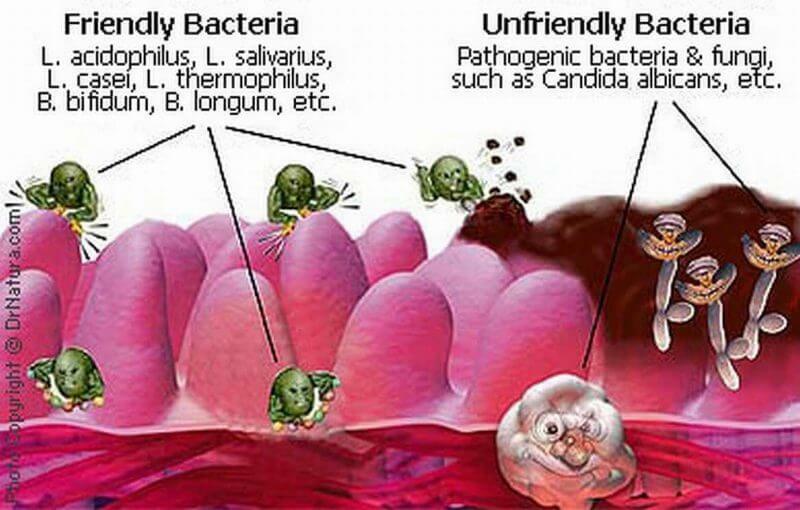 Such strains of bacteria, or good bacteria, in the canine gut help in the absorption of nutrients in the colon. These good bacteria help keep bad bacteria like E. coli from increasing to unsafe or sickness levels. They also help maintain the mucosal barrier and enhance cellular repair in the digestive system. They can be given via food or supplements, food being the preferred method. Dairy-based products like kefir and live yogurt are some examples you’re probably familiar with. Therefore, a probiotic in its simplest form is good bacteria that grows in a dog’s gut while the prebiotic is what feeds these good bacteria supporting a healthy digestive system. Prebiotics and probiotics work best together, no one is better than the other as each plays a specific role in supporting a dog’s digestive tract and immune system. The gut of a dog includes millions of bacteria: some are considered good, and others bad. While a probiotic is a good bacteria that will improve gut flora and the immune system in the digestive tract and body, which helps your dog fight off diseases and strengthens the immune system, protecting him/her from a variety of dangerous viruses like E.coli and more. Prebiotics nourish these probiotic bacteria that are found naturally in your dog’s gut and intestine or added via probiotic supplements. This creates a symbiotic relationship between the two so that used together creates the most beneficial result for your dog’s health. Probiotics are not the only supplement that has been confused with prebiotics, digestive enzymes are often mistaken as having the same benefits, but they are some distinct differences between the two. As discussed in our post on digestive enzymes for dogs, they are defined as special proteins whose job is to break down macronutrients from the ingested food. In healthy dogs, digestive enzymes are produced by the pancreas and will quickly decompose fats, carbohydrates, fibers, and other proteins to fasten and smoothen digestion. Digestive enzymes, in short, ensure that our dog’s food is digested properly and efficiently which means that they are getting the absolute most out of the food that they can get. One of the most valuable differences to know between prebiotics and digestive enzymes is that digestive enzymes are produced by a dog’s body whereas prebiotics are not. In some cases, enzymes may be medically required if the dog’s pancreas is not producing enough of them, while prebiotics are simply supplements. Digestive enzymes and prebiotics are often packaged together and can be beneficial for any dog’s digestive system but are particularly useful when a dog is having digestive issues. 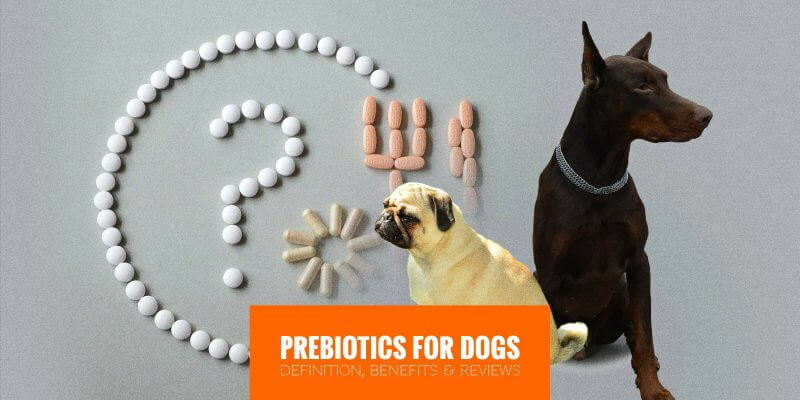 Prebiotics and probiotics are best given together to get the most effective results but as each dog’s digestive system is different finding one that is suitable can be difficult. To make the search easier we have compiled some of the best prebiotic and probiotic supplements on the market based on rank, price, reviews etc. ZenWise’s Digestive Enzymes for Health contain a specialized blend of enzymes, prebiotics, and probiotics of plant origin that promote daily digestive health. By helping the body digest fats, proteins, carbohydrates and cellulose, it has been shown that this advanced formula is compatible with healthy digestion, immune function, and balanced energy levels. The recommended dose is one capsule before each meal and each container consists of 180 capsules at a price of roughly $22. This product is officially targeted to humans but is suitable for dogs and often recommended as it is purely plant-based. As it is an all-natural product the dog will be less likely to have an allergic reaction, and the ingredients show ginger and turmeric which can boost energy as well as supporting the digestive system. 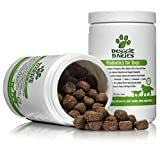 This supplement has shown great results in combatting many digestive issues such as heartburn, diarrhea and absorbing nutrients to help the flora in a dog’s gut. It is an all-natural supplement with an added benefit of containing digestive enzymes that can help nutrient absorption. The capsules can be opened and mixed into a dog’s food rather than mixing the capsule in itself. Although it has been shown to help a range of digestive issues it can depend on the dog’s reaction to it and I can result in canines consuming this product may experience minor digestive distress, stomach pain, nausea, bloating, or irritation. 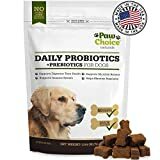 Paw Choices’ take on the probiotic and prebiotic supplement is designed specifically for dogs and used daily can help maintain a healthy GI tract, improve digestion, support the immune system and enhance overall health. They are made in the USA and contain no wheat, corn or artificial ingredients. 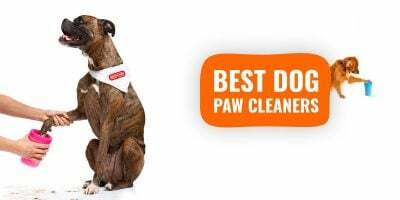 Paw Choices has shown that it can provide extra support during stressful situations like traveling, kenneling, training, during bowel movement issues like diarrhea and during or after taking antibiotics. It has a combination of dog probiotic, prebiotic and digestive enzyme mix so that it can support nutrient absorption as well as maintaining a healthy digestive system for your dog. As it is created specifically for dogs, it is in the form of a treat and has a duck flavor which will make it easy for the supplement to be introduced into any dog’s diet instantly. It is one of the more expensive combination supplements on the market currently pricing at around $20 for 60 chews so it may not be the most cost-effective product especially if you are buying for several dogs. As with all supplement’s it can depend on the digestive tract if this will be the right supplement for your dog if an incorrect dose is given or it does not agree with your dog’s gut flora this can result in side effects such as flatulence, diarrhea or in some cases vomiting. PetVitalityPRO Probiotics have 20 ingredients including natural digestive enzymes, bioavailable vitamins, minerals, antioxidants, and phytonutrients. It is a combination supplement containing a trio of probiotics, prebiotics and digestive enzymes creating a comprehensive boost to your dog’s immune and digestive system. It has been shown to be beneficial for dogs of all sizes and age, by helping to improve gastrointestinal health. It also offers extra support to the digestive tract when your dog is taking antibiotics and steroids and the aftermath. Unlike some of the other supplements, PetVitalityPRO has shown that it can improve other health issues outside the digestive system such as yeast infections and skin disorders which makes it a well-rounded supplement to be entered into any dog’s diet. PetVitalityPRO is a daily flavored treat making it easy to be entered into a dog’s feeding routine rather than powder or capsule. It is also one of the most cost-efficient products selling at around $40 for 150 treats making it ideal for anyone with more than one pet. However, there does seem to be a downside to the supplement as many of the negative reviews show that a large number of dogs refused to eat the treat as they did not like the flavor. If your dog is a picky eater this may not be the product for you. Probiotic Everyday for Dogs by VetriScience Laboratories is a combination of prebiotics and probiotics to support digestive regularity, less gas and bloating while giving a boost to the immune system. It is a veterinarian-recommended formula that contains probiotics, soluble fibers and prebiotics (fructooligosaccharides) that support regularity in a dog’s digestive system. The probiotics it contains provide the added benefit of promoting immune system function. This supplement is in the form of a duck flavored bite-sized treat making it perfect for daily consumption for dogs of all sizes. As each treat contains one billion CFUs this helps dogs produce less gas and bloating for optimal digestive comfort after meals. 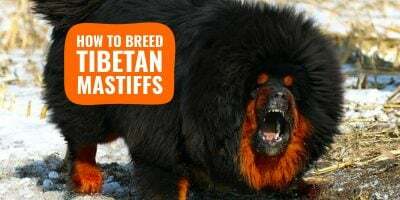 This can be beneficial for dogs with reoccurring digestive issues such as Irritable bowel syndrome or can be a necessary boost after a course of antibiotics. It is an easy way to support G.I health in dogs with a lower price than most of the competition. This dog prebiotic supplement may be more suitable for a single pet owner rather than a breeder. Although it is veterinarian approved this supplement does contain rye and oat flour that may not be mentioned in the products description. This can be detrimental to any dog with gluten intolerance and can worsen a digestive issue rather than resolve it. In-It Pets Probiotic for Dogs works fast to help gas, bloating, diarrhea, bad breath, allergies, vomiting, hairballs, and skin and fur issues. Probiotics Plus includes six strains of the best probiotics for dogs in high concentrations to restore your pet’s digestive health. This supplement has a 3-1 formula that can improve inflammation and offer pain relief as its dog probiotics contain superfoods, watercress — along with flaxseed, fish oils, and omega 3, 6 and 9. As well as supporting a healthy immune system and digestive tract their combination supplement contains pure inulin (prebiotic) and a base of organic calcium carbonate. Prebiotics support immune function and calcium and magnesium absorption which builds stronger bones. This can be very beneficial when raising puppies in particular to encourage their growth of healthy bones and teeth. 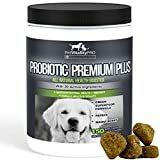 Unlike the other probiotic, prebiotic capsules and treats listed, this dog probiotic supplement comes in the form of a flavorless powder that can be mixed into food or water which can combat your dog refusing to eat a capsule or treat. This prebiotic/probiotic mix is cost-effective but one of the main issues seen with this product is the powder consistency. Many reviews show that it may clump together in water or food when mixed in causing their dog not to ingest it.